The convenience and global reach made possible by online channels has led to the development of a broad set of digital eCommerce services. However, the accessibility of the Internet and the ability to commit fraud remotely creates an environment for cyber criminals to prosper. Meanwhile, the potential attack surface for miscreants is enormous -- about 94 billion transactions were made for remote goods purchases in 2016, which is only a fraction of the total eCommerce landscape. That said, advanced security measures are increasingly being implemented to protect against fraud carried out at physical locations. It's for these reasons that fraudsters have developed, and are continually developing, new methods to illegally siphon cash over the Internet. Juniper Research has found that retailers stand to lose $71 billion globally from fraudulent Card-Not-Present (CNP) transactions over the next 5 years. Their latest worldwide market study found that a number of factors -- such as the shift to EMV cards, delays in 3DS 2.0 (3D-Secure) and click-and-collect fraud -- were key drivers behind the rise. Many merchants still believe that eliminating all fraud is too expensive. Therefore, they've been unprepared to deal with the shift to online fraud following the introduction of EMV (CHIP and signature) payment cards in the United States. A cost analysis of fraud detection and prevention (FDP) solutions found that in most instances, merchants would receive value from their protection investment. Juniper has urged vendors across the value-chain to increase their efforts in educating merchants on the benefits of FDP. According to the Juniper assessment, fraudulent CNP physical goods sales will reach $14.8 billion annually in 2022. It argued that click-and-collect services were particularly vulnerable given the lack of a residential delivery address. But retailers are reluctant to impose rigorous ID checks on pick-up for fear of damaging the consumer experience and reducing conversion rates. 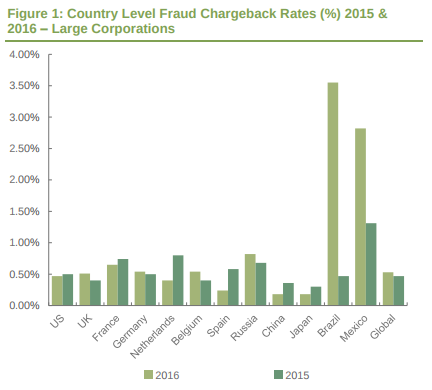 The research predicted that three key battlegrounds would emerge in the fight against fraud in 2018. It cited machine learning as a key tool in identifying genuine users, while the shift to mobile eCommerce would rely on 3DS 2.0 and biometrics. "2018 will herald the arrival of new tools in the fight against fraud," said Steffen Sorrell, senior analyst at Juniper Research. "3DS 2.0 will finally begin to rollout and will mark a paradigm shift in terms of merchants and issuers leveraging shared data. We also expect passive biometrics, such as the manner in which a device is handled, to become key in the future."